Yuva India takes a deep dive into the lives of India’s young men and women. In unravelling what makes them tick, the book uncovers the phenomenon of ‘attitudinal convergence’ that is rapidly growing across youth cohorts in India. Tracing its origin to the arrival of and exposure to a ‘composite culture’, the research behind ‘convergence’ zeroes in on how a young India is defining itself using new-age sensibilities. Drawing on insights collected over a decade, Ray documents and analyses how young men and women in India approach issues of identity, image, sexuality, spirituality, personal relevance, social connections and community, and professional pursuits. In a one-of-a-kind analysis, using comprehensive data from across the nation, Ray scrutinizes young India’s psyche to make sense of their aspirations. Filled with numerous first-person accounts and brand stories, Yuva India provides an insightful understanding of India’s most valuable asset, its youth population. The present and the future of India’s young, it reveals, will be invaluable not just for business and brand managers, but also for all those who wish to engage with them. Ray Titus is the Professor and Marketing & Strategy at the Alliance School of Business, Alliance University. He also serves as the Area Chairperson at the Department of Marketing. Ray’s entry into academia followed a decade long stint in the Industry where he served in Operations, Marketing, and Project roles. As an Industry Professional he’s overseen strategic growth infinitives that included product and category expansions and the launch of an independent strategic business unit. Ray started his career in the Industry with the globally renowned Taj Group of Hotels where he managed Food & Beverage Service Operations. His subsequent stints saw him manage Marketing Operations at INI Technologies, an Integrated Web Solutions provider, and Food Retail Operations & Projects at the Landmark Gulf Group, Dubai. On his return to India he joined the Amalgamated Bean Coffee Trading Company based out of Bangalore to launch their then new Strategic Business Unit, Coffee Day Xpress. Ray’s work has also seen him collaborating with other companies, notably, Nandos. Corp. based in Johannesburg (South Africa) and Schulstad Frost A/S in Denmark. It was in late 2003 that Ray entered academia. Ray’s activities at the SoB see him in Teaching, Research, and Training and Consulting roles. As an academic in the classroom he teaches subjects like Business & Marketing Strategy, Consumer Behaviour, and Social Media Marketing. Ray’s research interests lie in the area of consumption behaviour, strategic and marketing value propositions, and new media landscape. As a Strategy & Marketing Trainer and Consultant, Ray has closely worked with leading Indian and Multinational firms. He also actively engages with the industry through Management Development Programs. Ray publishes his professional blog ‘Buyer Behaviour’ which is listed among the ‘Top 100 academic Blogs every professional investor must read’ by Currency Trading and ‘15 Must Read Indian Blogs about Investing & Business’ by INForum India. Ray is also a business columnist whose expert opinion features in leading business newspapers and magazines. Ray holds an MBA from the International Management Institute in Belgium. He completed his Post Graduate program in Planning and Industrial Entrepreneurship from the Indian institute of Planning & Management, New Delhi, and his Graduate Studies in Hotel Management as a topper at IHM, Trivandrum. Ray is also a certified Six Sigma (Green belt) awarded by KPMG, and is currently pursuing his Doctorate in Business Administration from the SMC University, Zug (Switzerland). 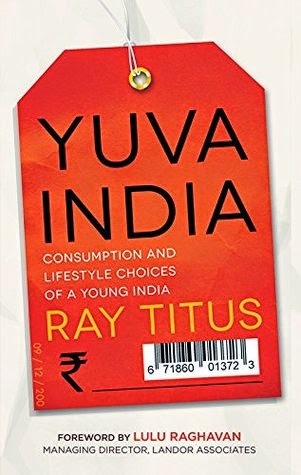 Young India as we call it and Yuva India as the author calls it is surely something that we all want to know more about for they not less than any mystery novel. They have a certain air of attitude around them making us feel like lesser mortals but as the author has rightly pointed out the reason behind it is this generation doesn’t have the fear the previous generations carried with them about what to do, how to do and the people pleasing mentality is absolutely missing. All that they want to do is be happy themselves and that is what they strive for life long. They are less accommodating, less giving it, letting go or pretending and that according to me is a good sign. It means they have realized that life is meant to be lived without any regrets, I feel they have taken the revolution of YOLO (You Only Live Once) a tad too seriously. Instead of boring us with statistics or a monologue from the author he has sprinkled the book with liberal doses of conversations, real life examples and what according to them is it all about which doesn’t make it boring at all. It is a very enjoyable read which has ample smiles in those paragraphs with some stark reality peeping through some corners. The tremendous research that has gone behind this book is clearly visible in each and every word that you read. This book makes it very clear WE as the young India are the ones who hold the present and the future of the country. We can make it or break it, the onus lies on our shoulders. The author has managed to create a book that could serve as a good reference point for all – students, academicians and researchers. The facts and figures presented herewith make it a good detailed study for exploring the various aspects of the young Indian life. If like me, you are curious to know where we are heading to this book is a must read for you! 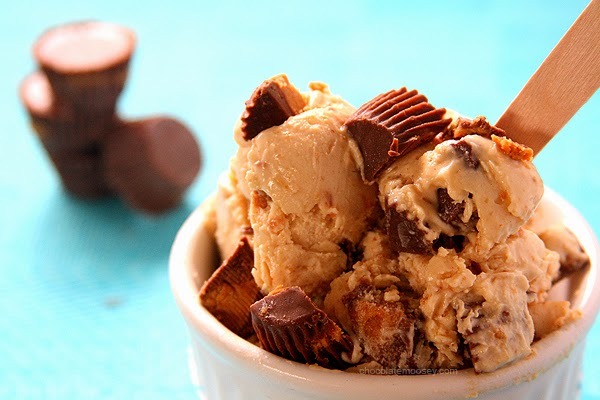 This book is peanut butter icecream - double goodness served in a single scoop. It is crispy to the point and yet thoroughly enjoyable.